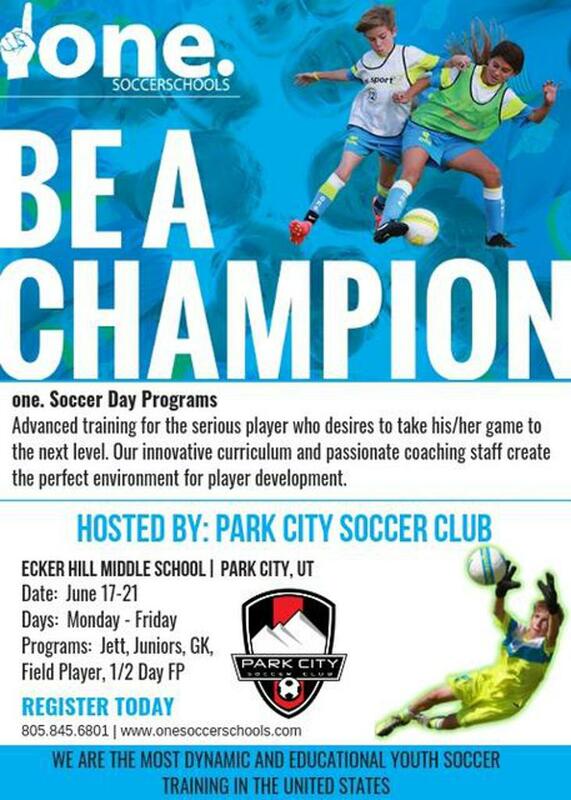 One.Soccer Schools is coming to Park City for Summer Day Camps from June 17-21! Train like a champion with one.Soccer Schools and amp up your technical, tactical, and mental skills - all designed to build quick decision making skills and confidence! Camps begin at 8:30 am and are located at Ecker Hill Middle School (2465 Kilby Road, Park City)for field players and goalkeepers ages 5 – 16 years old. Visit our website to register and get more info! Take advantage of Early Bird registration rates through April 16th with discount code PCSC19.